Our Mitsubishi Carisma rubber car mats will give all-weather protection as well as adding extra style to the interior of your Carisma. 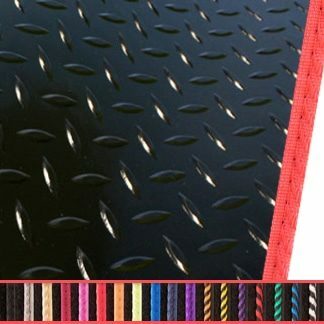 Made from high quality, heavy duty rubber, our rubber car mats are durable and long lasting and they will protect the floor of your Mitsubishi Carisma from everyday wear and tear. The mats also come with a non-slip granulated backing to help eliminate any movement within the car’s footwell. The car mats are custom-made and they are perfectly tailored to fit the interior floor-space of the Mitsubishi Carisma. The mats are also available in a variety of custom trim options so you can choose your own finish and create a personalised look to the inside of your Mitsubishi Carisma. Our rubber floor mats are also very easy to remove and very easy to clean, so you can continue to give your Mitsubishi Carisma that showroom look and feel. Disclaimer - All the vehicle manufacturer symbols, logos, names and descriptions used on this website are used solely to assist with fitting, application and identification. It is neither inferred or implied that any item sold by The Prestige Car Mat Company is authorised by, or in any way connected with any vehicle manufacturer displayed on this website.